$100 GC & Custom Just Jen Hoodie Winner! It's time to announce who the winner is for the second Just Jen blogging contest! 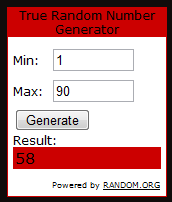 This lucky winner will receive a $100 gift card to Walmart or Amazon.com (winner's choice) and a custom hoodie from JustJen.com . Out of 90 entries, the winner of this Just Jen blogging contest is . . .
Congratulations Erin! I am off to send you an email right now. Thank you to everyone who took the time to enter this contest and to help spread the word about Just Jen bridal hoodies being seen on ABC's The Bachelor: Jason and Molly's Wedding.